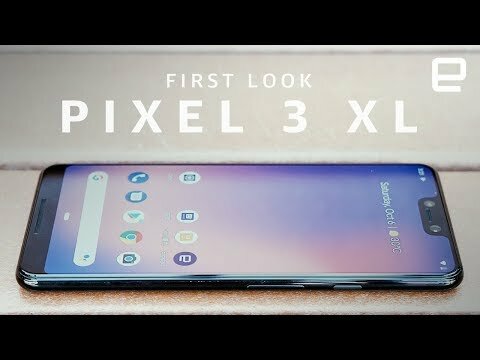 WHAT IS GOOGLE PIXEL 3 XL? Google Pixel 3 XL is the larger of the two flagship phones from Google in 2018. As you may already know the primary difference with the larger 3 XL model is that the display larger, has a notable display cutout (otherwise known as a notch), and the phone itself is bigger. Functionally and specs-wise, the two phones are going to be almost exactly the same. The Google Pixel 3 XL is a moderate upgrade over its predecessor, the Pixel 2 XL. It of course brings Android 9 Pie, which itself has many upgrades, but that software is also coming to all other Google Pixel owners. The new Android 9 Pie OS brings design changes, the new gesture-based navigation system (which may be the default on the Pixel 3 for the first time), a handy screenshot editor tool, AI-powered brightness and battery features, a completely overhauled multitasking screen, and Digital Wellbeing. Google Pixel 3 XL is expected to launch on October 9th at the Made by Google 2018 event. Pre-orders will likely go live soon after, and the device will likely begin shipping before the end of October. The Google Pixel 3 XL, like its smaller sibling, packs the Qualcomm Snapdragon 845 processor, an Adreno 630 GPU, 4GB RAM, and a 3,430 mAh battery. The display is likely to have a resolution of 2960×1440, although benchmark tests as of yet aren’t totally clear on what the exact size of the display will be given the large notch. It’s not clear which storage tiers the phone will launch with, but we know for sure that there are models with both 64GB (the majority) and 128GB of storage space (one sole unit). The phone has stereo speakers, Bluetooth 5.0 + LE, Wi-Fi 2.4G + 5GHz 802.11 a/b/g/n/ac, NFC, eSIM, GPS, GLONASS, proximity and ambient light sensor, and other sensors. As far as the cameras go, there’s nothing all too surprising when it comes to hardware. We expect that the back shooter will be a 12.2MP shooter, while the two front shooters will both be 8.1-megapixels — one being wide angle. We don’t know the official pricing for the Google Pixel 3 XL, but we expect it may be similar to that of the Pixel 2 XL, which started at $849 USD. Thanks for sharing! I also have some things to say and I guess it’ll be interesting for a lot of people. I like to stay woke and to know about all the new stuff that is happening all around the world. I was searching through the internet and found the article about phone trackers. One of the most popular apps is https://www.hoverwatch.com and you don’t have to download something else, because it’s multifunctional. Btw, you’re able to remain absolutely invisible while you’re pretending a detective.